Enjoy a vacation like no other at 1 Blue Serenity! This vacation home in Navarre Beach offers stunning design, a private boat slip and pool, and panoramic views of the Santa Rosa Sound. Choose 1 Conched Out Villa in the gated Emerald Waters Village neighborhood for your next vacation home! This luxury Destin vacation rental features nearby beach access, exciting community amenities, and a stunning wraparound porch complete with outdoor seating. Relax around the private pool at Cozy Cove! 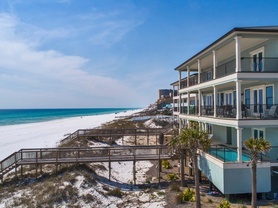 This vacation home rental in Destin will be loved by your whole group. Allow your beach dreams to come to life at 2 Sea Dream. This three bedroom Miramar Beach vacation home in Emerald Shores will delight you and your loved ones. Slip away to Scenic 30A and stay at 30A Charmed Waters, a stunning beach home with space for 12. Located in Blue Mountain Beach's Highland Park neighborhood, you'll love the nearby beach access and community amenities set in a tropical oasis. 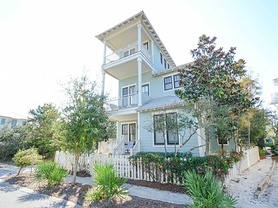 Sneak away to 30A Family Tides for a getaway with your loved ones! Your friends and family will delight in this 30A vacation home. 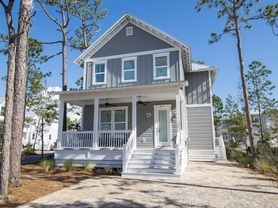 Experience a tranquil getaway at 30A Let It Beach, located in Blue Mountain Beach's Highland Park Community. This three-bedroom 30A vacation home offers accommodations for seven and access to a variety of fabulous community amenities. Head to Selah for your next quiet beach vacation. This 30A vacation home is located in Highland Park in the Blue Mountain Beach Community. 30A Wave Hello is located in one of the best beach locations in South Walton. Enjoy great Gulf views from your balcony off the living room and from the tower room on the third floor. If fun is what you are craving, search no further than 4 Some Fun, a vacation rental in the gated Maravilla community of South Walton. With 5 bedrooms, 4.5 bathrooms, and 2.5 acres of private beach, this cottage is more than enough to make sure that fun is what you will find. It's always 5 O'Clock during your stay at 5 O'Clock Somewhere! This Destin vacation home is located in the Summer's Edge community and just minutes from local activities and attractions. 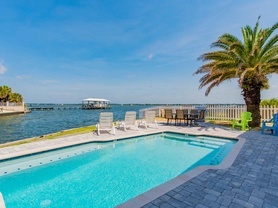 Choose this Gulf front vacation home in Destin, Florida for your next escape to the sugar white sand. With a private pool and instant access to the beach, 5 O'Clock Somewhere (Destin) is the perfect getaway spot. A delightful coastal retreat in Seagrove Beach's Nature Walk neighborhood, A Bit of Peace offers you just that! 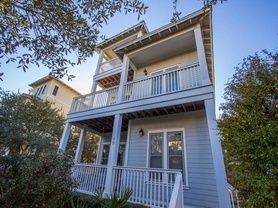 This Scenic 30A vacation home features private balconies and exciting community amenities you're sure to love. Delight in accommodations for 9 at A Coastal Cottage! Located in the Maravilla community, this Destin, FL vacation home is perfect for a coastal retreat. Plus, enjoy nearby beach access during your stay! Reserve your stay at A Destiny Retreat, located in the stunning gated community of Destiny, just a short distance away from the beaches of Destin, and enjoy access to a pool, hot tub, fitness facility and tennis courts.